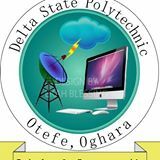 Delta State Polytechnic Otefe Oghara (DESPO) Post UTME screening form for 2018/2019 academic session is out. This DESPO screening of for admission application into full-time National Diploma (ND) programmes offered in the school. The DESPO Post-UTME Cut-off Mark and information on screening exam dates have also been released. Applications are invited for admission into ND Programmes at Delta State Polytechnic, Otefe-Oghara (DESPO) via Post UTME for the 2018/2019 academic session. The following steps will guide you on how to buy the form, register and complete you application for the DESPO 2018 Post-UTME screening. Candidates are to adhere to the guide and not give money to anyone to help them buy the form or register for them. Those who chose Delta State Polytechnic, Otefe-Oghara. All candidates who did not choose Delta State Polytechnic, Otefe-Oghara as first choice are advised to access JAMB website www.jamb.ng.org and apply for change of Institution to Delta State Polytechnic, Otefe-Oghara. Candidates are advised to come with writing materials and HB Pencil. (ii) Click the payment button to pay a non-refundable screening and documentation fee of Two Thousand Naira (N2,000.00) made online with Verve or Master Debit Card (ATM Card). (iii) Print two (2) copies of the online acknowledgement form to conclude the registration. Closing date for sale of forms for the Screening exercise is 16th September, 2018.